The following article turned out to be very in-depth and has been split to two parts to help it load faster. This article is an overview on some of the fabled, 2015 Chevy Colorado Class Winning and Leading Technology and Stuff. If you are instead interested in browsing our rapidly depleting inventory of Colorados you can also do that here. As someone who is responsible for knowing a lot about Chevy’s vehicles it is very painful to watch that botched delivery on how awesome the 2015 Chevy Colorado actually is by Rikk Wilde. Honestly though, with all the technology point you’ll find below, maybe he was just very nervous and had way too much to remember and tried to take the easy route? Who knows. At any rate, you’ll find some actual information on some of the actual 2015 Chevy Colorado Class Winning and Leading Technology and Stuff below. The new Colorado (and Canyon) has a Fully boxed frame. It’s very high strength and rigid which is exactly what you’re looking for when you’re going to be towing and hauling over various terrains to help prevent the frame from warping. It’s also a key factor in the awesome payload, trailer towing capabilities, ride characteristics and handling. It will soon (Model Year 2016) feature a 2.8L Duramax Diesel option. Frame integrated hitch. This is a fairly new consideration to towing and another of the contributing factors to the huge, 7,000 lbs trailer towing capacity. Z71 Suspension baby! The wildly popular Z71 has made it’s way over to the Colorado as not just a package but as an actual trim level. The Z71 suspension includes specific off-roading suspension components, specific tires and wheels, underbody protection and the awesome G80 Automatic Locking Rear Differential. Let’s go over that a bit deeper for a second since it’s the final major component that contributes to the incredible maximum trailer towing capacity that’s not far off some of the players in the full size truck market. G80 Automatic Locking Rear Differential – During low speed operation the G80 automatically notices a difference in rear wheel speeds indicating a loss of traction in the drive wheel and immediately applies equal torque to both wheels to keep the truck moving through the area of low traction. The 2015 Colorado has a roll formed box floor. This is a stronger, lighter and more durable improvement on the typical stamped steel. Allows two-tier loading. With the GearOn system you can put a platform in the pickup box to separate the upper and lower cargo box. This allows for items like plywood, sheets of drywall, ladders and more to be placed up top and for your tools, equipment and gear to be organized on the bottom. 17 Cargo Tie-Downs located around the box. 4 of them are fixed. The other 13 in the back of the cab and the sides of the bed are moveable to accommodate whatever your needs are at the time. All of them are rated at 250 lbs each. They pop in easily without any parts or tools required for installation. You can purchase them from GM (or very shortly through our Parts Department once they become available to dealers) for $100 a piece. You can also check out a close up if you’d like to get a visualization. You’ll also get standard box rail protectors. Near the tailgate you’ll get the ergonomically shaped hand-holds/stake pockets as well. One of my favorite recent improvements to Chevy trucks, the CornerStep rear bumper has made it’s way to the Colorado. The tailgate is lockable and can also be easily removed. The EZ Lift and Lower Tailgate is available on the WT and LT models and is standard on the Z71. It uses a rotary damper to slow the tailgate on the way down and a torsion bar to assist in raising the tailgate back up with ease. The Colorado is the class leader in payload and towing. The maximum payload is rated at 1,600 lbs which is enough to give a lot of full sized pickups a run for their money. The standard bumper hitch has a towing capacity of 3,500 lbs. The maximum towing capacity is 7,000lbs with the available Z82 trailer towing package. That package includes the frame integrated platform style hitch assembly, 4- and 7-pin connectors and requires the 3.6L V6 and G80 Automatic Locking Rear Differential. Creates flexibility by reusing GearOn Crossrails. Available on all trim levels. Utility for business and pleasure, an active lifestyle and commercial purposes. Capable of attaching to multiple locations on the truck bed side for loading lifestyle products on to the vehicle (such as bikes, kayaks, canoes, etc), while maintaining a cargo area for accessories and gear underneath. A bed cargo divider can be interfaced with the GearOn system to allow related gear to keep from moving around during travel. Can be supplemented with available stanchions for kayaks, canoes, ladders, lumber, etc. This vehicle is meant to be an integral part of your lifestyle and not simple a “truck”. 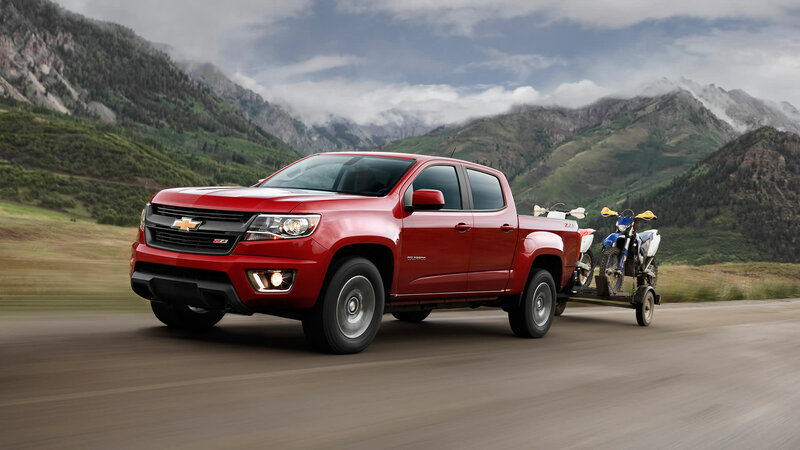 Whether you intend to use it for work, play or a combination of the two Chevy’s goal with the Colorado is to become more of a companion than a vehicle. 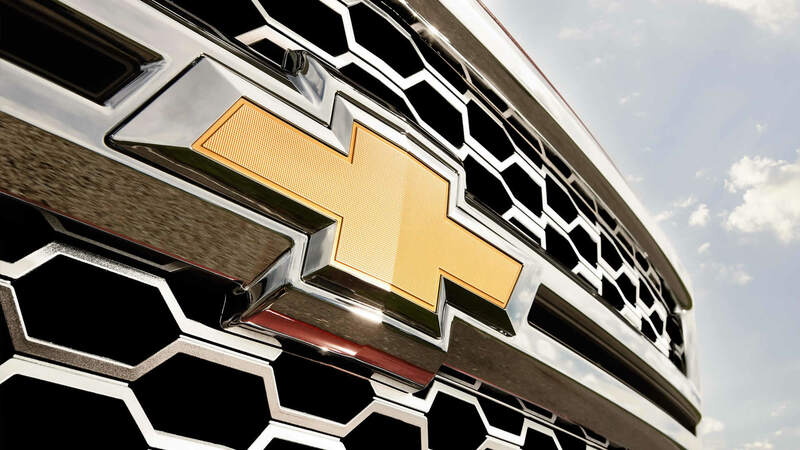 Chevy has specific and comprehensive categories for accessories to accommodate your lifestyles. You can see them on their website and I’ll also highlight them here. Bed products including Tonneau covers, bed linings, GearOn, etc. Cargo Management for very specific items such as ladder and utility racks as well as skis, kayaks and more thanks the GM’s partnership with Thule®. Exterior products such as assist steps, fender flares and weather deflectors. Interior products are your floor mats and smoker’s package. Performance products is a little lacking at the time of this writing as all that comes up is an exhaust tip. Security and Protection has your first aid kit, roadside assistance package and wheel lock kit. Trailering products have wiring adapters and harnesses and hitch ball mounts assembly. Phew, that’s a lot and we’re just getting warmed up! To try to help keep from overloading you with information (and speed up the load speed of this page for you) we’ve broke a big article in half. This is part one. 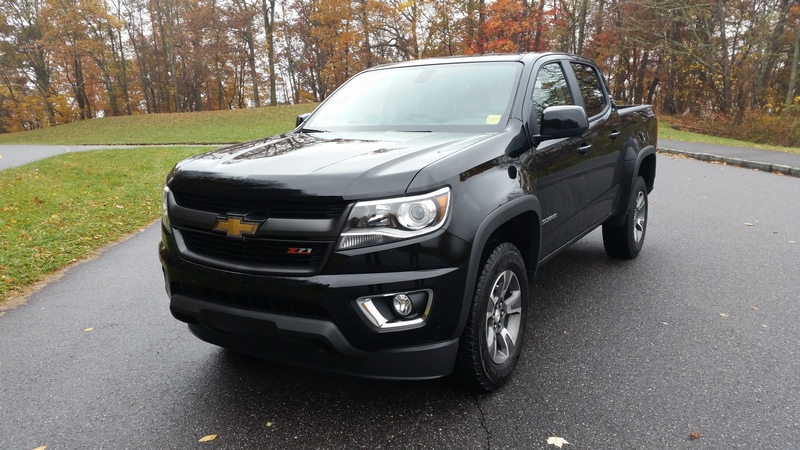 So, get up, go to the bathroom (wash your hands), stretch your legs, grab a snack and when you’re ready you can continue on to 2015 Chevy Colorado Class Winning and Leading Technology and Stuff part 2 . If you haven’t received the opportunity to wrap your very own hands around the steering wheel of the new 2015 Chevy Colorado or sat in the seats to experience the technology and stuff than do yourself a favor and give our World Class Internet Department a call today at (800) 680-0835 to schedule your test drive. Continue to 2015 Chevy Colorado Class Winning and Leading Technology and Stuff part 2 here.